Mister Rogers was a prominent figure in most of our childhoods. 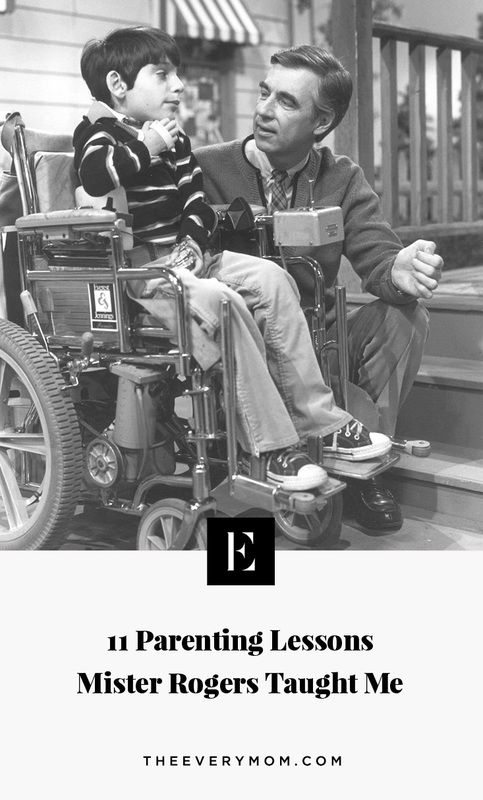 His show, Mister Rogers’ Neighborhood, taught us almost everything we had yet to know – from compassion to the complexity of emotions to what guide dogs do. And though our children have Daniel Tiger’s Neighborhood, where many of Mister Rogers’ lessons live on, we know the original was as good as gold. I’ll be honest, when the re-runs of Mister Rogers’ Neighborhood are on TV, I still sometimes watch. And, there are a few things that stick out to me now, watching as an adult. The show, unlike nearly all of the children’s programming on TV now, is immediately calming. It’s slow-paced, with no bells and whistles, and requires paying attention. In its truest form, Mister Rogers’ Neighborhood is an honest conversation between a gentle teacher and his youngest, most eager students. 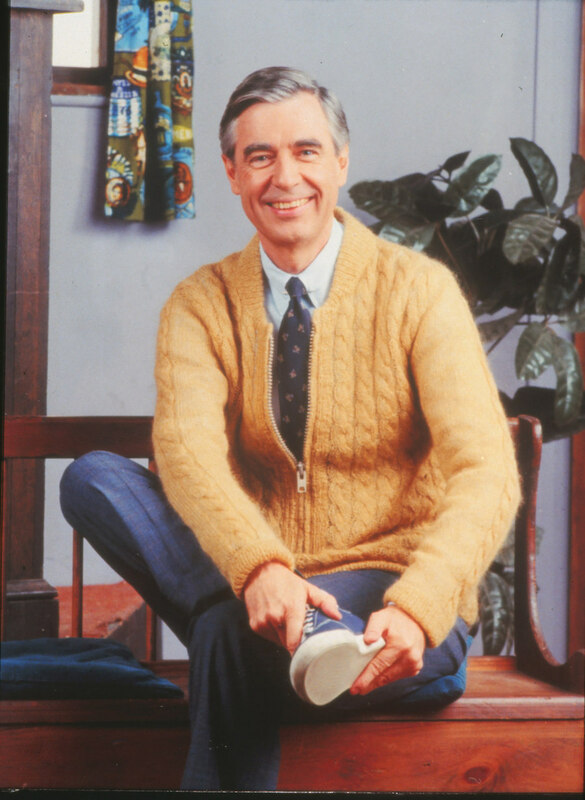 As much as I learned from Mister Rogers as a kid, I now understand even more as an adult. And many of his biggest lessons now apply to my world as a parent, just as Rogers promised they would when I was a kid. In Won’t You Be My Neighbor? we learn that Fred Rogers’ parents were very well-off. And though the luxuries involved in that sort of childhood likely made Rogers a bit uncomfortable (he chose a life of modesty as an adult), the generosity of his parents’ definitely seems to have made an impact on the person he grew up to be. It’s said that Rogers’ parents were extremely active in their community and used their money to care for friends, employees, and neighbors. 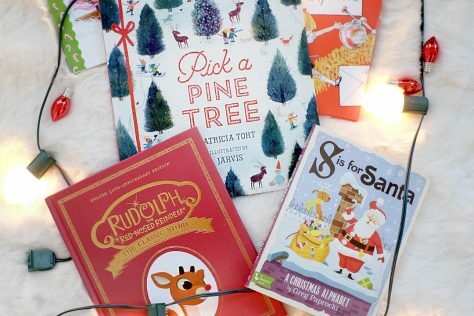 Rogers’ mother even apparently bought thousands of Christmas presents for people in their community and supplied the local elementary school with clothes, shoes, medical equipment, and furniture. Even if we don’t necessarily talk about it or make a big show of things, our children see our actions and our intentions and pick up on them. They see generosity, selflessness, and care for others just the same as they would selfishness, stinginess, and disregard for others. It’s on us to set the example for who we want them to be. 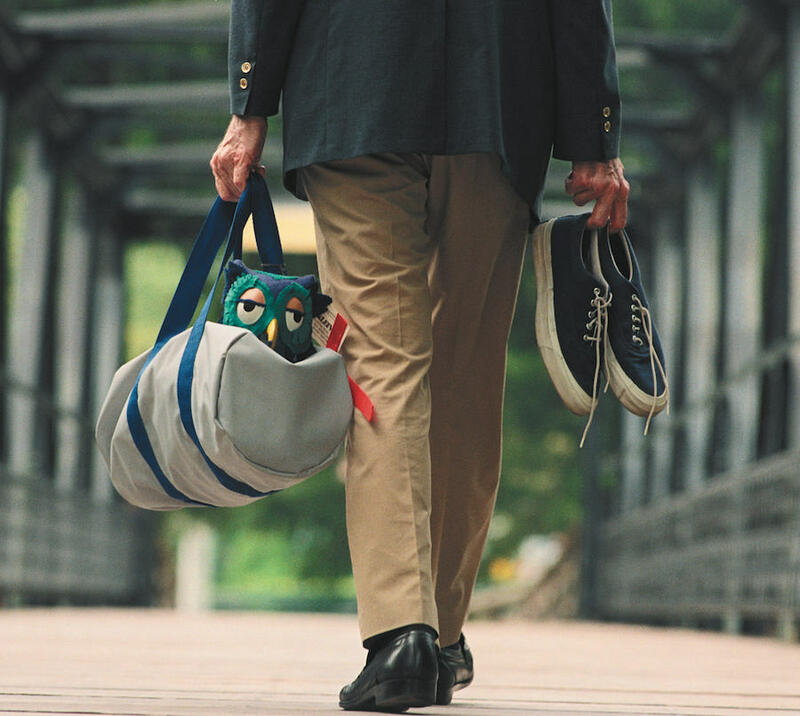 Mister Rogers is known to be calm and gentle, and his show followed suit. But, that doesn’t mean he shied away from hard topics. He famously addressed racial tension, assassination, divorce, death, disabilities, depression, and even nuclear war. By doing so, Mister Rogers showed us that children are not only capable of handling this kind of information, but also that they deserve to know the truth about what’s happening around them. Rogers presented factual information to children in appropriate and accessible ways, and that will forever be one of his most brilliant qualities. As parents, we want to protect our kids from the “harsh realities” of the world, but what we forget is that, when they’re young, we have the great, sole opportunity to present these things to them in the manner in which they deserve – as they get older, we don’t often have that chance. Rogers insisted that children could comprehend and wrestle with difficult topics, and thus, treated them with respect and dignity. 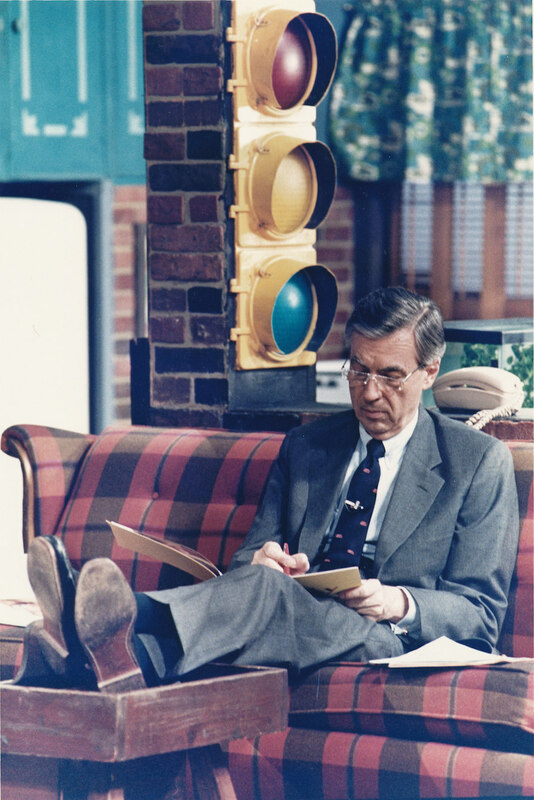 “Discovering the truth about ourselves is a lifetime’s work, but it’s worth the effort,” Fred Rogers wrote in his 2003 book, The World According to Mister Rogers: Important Things to Remember. 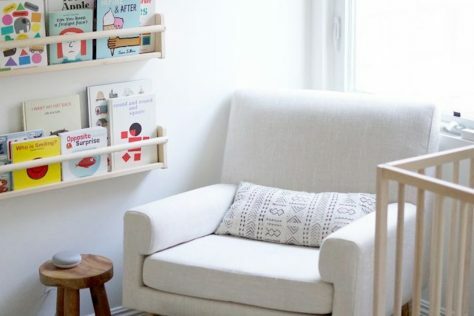 We often think there’s an endpoint to the difficulty of parenting, that it ultimately gets easier at some point, but the work only gets harder as our kids grow from babies to toddlers to children to adults. The best we can do is to set them up with the knowledge that life is ever-changing and evolving – and that we are never done learning or growing. None of us are immune from mistakes and misjudgments, but if we hone our abilities to reflect, open our minds, and adapt, we can always be better. Self-doubt is something we feel a lot of as parents. We’re constantly debating and coming to terms with the decisions we make in regards to our children. And though that doubt doesn’t often lift, it’s comforting to know that whatever choices we make and whether or not we agree on those choices, we all have the same intentions – to do what’s best for our children. Mister Rogers approached all people the same way – with the foundational value that all humans are loved, interesting and valuable. Because of this, he had an immense desire to learn, which developed his mindset that the core of all humans is the same. He used questions and communication as a way to build connection and see similarities in people, regardless of prevalent differences. What I learned from this is that our relationship with our children can be approached the same way – with intentional curiosity. 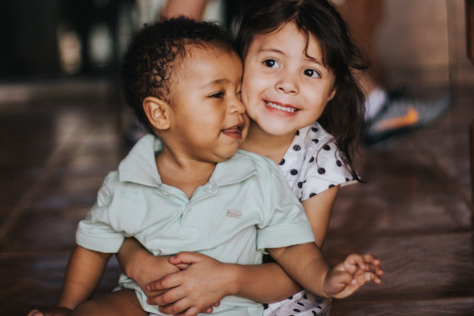 When we view our connection with our kids as an ever-evolving relationship that requires understanding and growth, we can begin to make shifts in our perspective and get to know our children as individuals. By asking questions, learning about them, and gaining their insight and input, they can see themselves as loved, interesting, and valued, too. It’s comforting to know that whatever choices we make and whether or not we agree on those choices, we all have the same intentions – to do what’s best for our children. This is something that can be applied to nearly everything, especially raising kids and teaching them how to live through the world. Kids naturally tend to have perfectionist tendencies as they learn new skills, and as it turns out, mothers do, too. We worry and fret over every single decision and then constantly compare ourselves to all the visions of perfection we consume on a daily basis. But. You won’t be great at every single thing. And, it doesn’t matter. Mister Rogers was a teacher by education and he went out of his way to praise growth and imagination, not perfection. Whether you are coloring or cooking or parenting or writing or trying to Kondo your house, it doesn’t matter. Trying, learning, progressing, falling, trying again – these things matter. Mister Rogers’ Neighborhood of Make-Believe was a diverse place, and he didn’t once try to make it seem like it was free of conflict or disagreement. In fact, from the beginning of the show, Rogers made it clear that conflict is natural, as noted in the documentary. In one episode, King Friday responds to changes in the Neighborhood by putting up a barbed wire wall, and in response, the neighborhood reaches out with concern. The two sides are able to work together to reach a compassionate compromise based on mutual understanding. Yes, people with different beliefs can co-exist but it’s not easy. The same goes for families. Natural conflicts will arise between parents and children and siblings and friends. We need to teach our kids that these sorts of disagreements are OK, and how to resolve them in a peaceful and considerate way. Listening was one of Mister Rogers’ best qualities – whenever he was speaking with anyone, he listened intently and actively. And he encouraged everyone to do the same. He noted over and over to truly pay attention to what someone is saying – listening with your ears and eyes and heart. Feeling the emotions behind what the person is saying is what gives you the most understanding of that person. And, I know I can’t be the only one shushing or rushing my kids when I think I don’t have time to listen to what they’re saying. There is always time to listen. And, I know I can’t be the only one shushing or rushing my kids when I think I don’t have time to listen to what they’re saying. There is always time to listen. During his speaking engagements, Mr. Rogers often asked his audience to take one full minute to think about someone who has really helped them in life. It’s a simple practice, but one that stops the harried rush of every day and brings us back to earth in gratitude and appreciation for those we have around us. And, it’s a simple way to introduce the concept of gratitude to your children. Asking, “who helped you today?” and “who did you help today?” is a concrete question, making it easier on young minds to attach the abstract concept of gratitude to a real part of their lives. Mister Rogers is one of those people who seems a little too good to be true – patient, kind, caring, considerate, warm, open, aware. And, maybe he was. Or, maybe that was his intent. When we were kids, he was calling us to be something better than we were. Maybe he thought that if he told us over and over that we were thoughtful and creative and lovable, and if he told us over and over again that he liked us just the way we were, that we’d begin to believe it. And as we grew, maybe we’d become the graceful, compassionate, reflective neighbors he thought we could be. We may have dropped that ball. But, as parents, we now have the chance to pick it up again. We cradle the next generation in our arms, and we still have the chance to create a community that exemplifies all that Mister Rogers told us we could be when we were kids. We have to believe that we can change the world in the craziest, most overly optimistic way – and believe that our kids can be that change.